Thoughts on the stimulus package? As most of you know, the U.S. House of Representatives passed the $819 billion economic stimulus package last night. The bill now goes to the U.S. Senate, where passage is expected sometime next week. However, because the two bills will be somewhat different, they will need to be ironed out in a conference committee into a version that will then need passage again from the Senate and the House before making their way to President Barack Obama's desk. What are your thoughts on the bill and its impact on the AEC industry? Does the stimulus package go far enough in addressing America's infrastructure needs? Many critics say no, but now's your chance to weigh in. 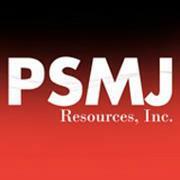 E-mail me at ehannan@psmj.com and we'll post your comments on the blog and in the March issue of the PSMJ newsletter. By a 244-188 vote, the U.S. House of Representatives has just passed the $819 billion economic stimulus bill. The bill, originally believed to have been for $825 billion, was reviewed by the Congressional Budget Office and determined to have been an $819 billion measure. No Republicans voted for the bill while 12 Democrats crossed party lines and voted against it. The bill now goes to the Senate, where a different version is expected to be passed next week. The two versions would then be worked out in a conference committee of the House and Senate into a compromise version that would then be reintroduced into each house. For more on the impact of the stimulus bill on the AEC industry, visit www.mypsmj.com and check out The Obama Infrastructure Plan: A Supplement to PSMJ's 2009 A/E/C Firm U.S. Market Sector Forecast. ASCE: America's Infrastructure Gets a "D"
The American Society of Civil Engineers issued its 2009 Report Card for America's Infrastructure and, not surprisingly, it earned a D grade. The Report Card is an assessment by professional engineers of the nation's status in 15 categories of infrastructure. In 2009, all signs point to an infrastructure that is poorly maintained, unable to meet current and future demands, and in some cases, unsafe. Since the last Report Card, in 2005, the grades have not improved. ASCE estimates the nation remains at a D average. Deteriorating conditions and inflation have added hundreds of billions to the total cost of repairs and needed upgrades. ASCE's current estimated five-year investment need is $2.2 trillion, up from $1.6 trillion in 2005. The grades ranged from a high of C for bridges to a low of D-minus for drinking water, inland waterways, levees, roads, and wastewater. To view the ASCE Report Card announcement, view and read a CNN report on the Report Card and its findings, and see previous Report Cards, as well as ASCE's five key solutions for raising the grades, visit www.asce.org/reportcard/2009/index.html. Interesting Associated Press article that came out yesterday about the $825 billion economic stimulus package. In the article, which runs in a question-and-answer format, Mark Zandi, chief economist at Moody's Economy.com, says the stimulus package will reduce the number of jobs lost in the next two years, not stop workers from losing jobs. Without the package, however, roughly 8 million jobs will be lost by the end of 2010, pushing the unemployment rate to more than 11 percent. If the stimulus is approved, he forecasts that job losses will be held to 5 million and the jobless rate will peak at 9 percent. That said, by spending roughly $90 billion building and repairing highways, bridges, mass transit systems, and other infrastructure projects, the stimulus proposal will create about 670,000 new construction jobs by the end of 2010, Zandi said. Tough news came out this morning that Burt Hill had laid off 18 percent of its workforce in the United Arab Emirates. Burt Hill had designed a motor-racing theme park there, but cut its workforce as the global credit crisis had forced property developers to unload employees and delay projects. According to Bloomberg News, Burt Hill cut staff at its Dubai operation by 111 people. One insider told me this afternoon, "Layoffs are becoming old news, aren't they? Sad news." Indeed. We won't go through the entire webcast here (you can order it by visiting www.psmj.com) but I did want to take a quick look at some of their market sector forecasts for 2009. Burstein sees excess inventory causing the housing market to continue declining through the first half of 2009. That decline will create a "bottom" for home design, perhaps as early as this summer, but subdivision design will continue to deteriorate through 2009 and into 2010. Affordability will reach a new high this year. And, when the recovery comes, its strength will surprise a lot of people. In the commercial real estate market, Burstein predicts a "disaster" for commercial developers, but we won't see the bottoming-out point until 2010 at the earliest. Lots of developers will expect their design firms to become their banks, and users will be less affected by the credit crunch than commercial developers. Low-end providers, such as Wal-Mart, will fare best. In the industrial market, short-term indicators point to a very weak first half of 2009. Longer-term indicators are mixed, but expect considerable volatility starting in late 2009. In the energy/utility market, proposal opportunities may start to decline in the first half of 2009, but new federal funding should kick in by the second half of the year and this market should remain strong for several years, Burstein believes. Even though Burstein sees a flattening or slight decline in the first half of 2009, he adds that long-term the market looks very strong. In the environmental market, Burstein says that hazardous waste markets are in a long-term decline. "They're just not making hazardous waste sites like they used to. In the long run, this market is essentially going away." Other environmental markets depend on legislation ("people tend not to spend money on things unless they have to," Burstein says.) Conventional wisdom dictates that Democrats will pass more environmental legislation than Republicans, but Burstein says that's not what happened under the Clinton-Gore administration. This time, expect environmental regulations to be tied to energy independence. In the health care market, short- and long-term trends are all positive, Burstein says. "More firms are getting into this market." The biggest danger is oversaturation and keep an eye out for overseas opportunities. Burstein also gave a subjective ranking of the following markets-- health care, environmental, energy/utilities, industrial, commercial, and housing-- by short-term prospects, long-term prospects, and relative profitability. He said that health care has the best short-term prospects, along with the environmental and energy/utilities markets. Long-term, energy/utilities and health care have the best prospects. In terms of profitability, health care, industrial, and energy/utility are projected to fare best. Overall, he said that health care and energy/utilities have the brightest prospects. For more information on how to order a recording of today's webinar or tomorrow's Part 2, visit www.psmj.com. Also, be sure to check out The Obama Infrastructure Plan: A Supplement to PSMJ's 2009 AEC Firm Market Sector Forecast. This comprehensive report goes into painstaking detail to show you the impact of the proposed economic stimulus plan on the AEC industry. Came across an interesting article on the PR Week site that talks about predictions for the top media trends of 2009. If these come true, they will have a significant impact on how PR professionals pitch media outlets. * Dozens of newspapers will shift to an online-only model. The traditional media that stay in print will use more maps, graphics, lists, rankings, and statistics, all while running shorter articles. You can already see this in the AEC industry with ENR's move a couple of years ago to a print-electronic hybrid publishing model. * Media layoffs mean that freelancers and bloggers will become more important. What does this mean for the AEC industry? Well, for starters, it could mean less institutional knowledge among the reporters and writers who cover this industry. After all, if it becomes a model where freelancers are just going after paychecks, they will not spend as much time building relationships, which makes it that much more difficult for AEC firms to get traction with the publications their clients are reading. * Marketers looking to reach broad audiences have their work cut out for them as well, as niche media and social media sites grow at the expense of broad-based media. Think Twitter, LinkedIn, and Facebook in terms of targeted marketing rather than an expensive direct-mail campaign. Interesting food for thought, no? "It appears that Australia will be less hurt by the global recession than most other places, but we will be badly hit by the drop in resources demand from China. Mining is a big export here, and a big employer of engineers." Charles tells us that he is working on a survey of attitudes about perceptions of the future and it will share it when it is completed. The results should be interesting if for no other reason than to perhaps counter the view most Americans have about the economy. It may also offer some evidence as to why so many foreign firms have merged or acquired American firms. The AIA's Architecture Billings Index moved up a little in December, but continues to mirror the slumping economy. Following consecutive months with record low scores, the December ABI rating was 36.4, up from the 34.7 mark in November (any score above 50 indicates an increase in billings). The inquiries for new projects score was 37.7, down from what was the historic low point of 38.3 in November. Because the index is a leading indicator of construction activity, the ABI shows an approximate 9- to 12-month lag time between architecture billing and construction spending. This means we shouldn't expect to see much construction activity in 2009. "The inability to get financing for construction projects is a key reason that business conditions continue to be so poor at design firms," said AIA Chief Economist Kermit Baker. "It will be important to see what the proposed economic stimulus package includes that is geared toward the construction industry, and how quickly developers who have had to put projects on hold can get them moving again." Regionally, the ABI breaks down as follows: Northeast (34.4, down sharply from 39.5 in November and 44.3 in October), South (35.3, down from 36.8 in November and 40.0 in October), Midwest (35.5, up sharply from 31.4 in November but down from 37.4 in October), and West (35.3, up from 33.5 in November and 34.9 in October). Sector by sector, the ABI breaks down thusly: mixed practice (45.1, up from 44.5 in November and even with 44.5 in October), institutional (39.3, down from 40.8 in November and 42.1 in October), commercial/industrial (28.1, up from 26.7 in November and down from 33.6 in October), and multi-family residential (30.0, even with November and down from 34.2 in October). The sad truth is that many A/E firms - even profitable ones - are laying off staff. For most of us, losing our job is a personally demoralizing and disempowering event - even if the reasons we have been let go are completely unrelated to our job performance or work habits. As our period of unemployment lengthens from weeks to months, our notions about what is a good job fit may become more relaxed as a sense of quiet desperation may set in. Also, our sense of our own value may become diminished. You cannot let your desperation to find a job force you to make a bad career choice with a firm that is not a fit with your values, skills, and work habits. I have a friend who just went thought this process. He lasted at his new position for two weeks. He said it wasn't necessarily a bad place to work, it just wasn't for him. His employers were not totally without blame in the mismatch. They did what many employers do: they sold a job that the candidate wanted - which as it turned out, was not the actual job. If a prospective employer is not inclined to come clean about the job, what can a candidate do to increase the chances of making a good match? First, ask the prospective employer to speak to a couple of their vendors. These could include the office supply or printing firm, the folks who clean the offices, or even sub-consultants that the firm works with. Get a third party's opinion on what it's like to work for the firm. Second, ask to speak with clients - find out what the firm is like as a vendor of services. When you speak to the clients that the firm suggests, ask them if they can give you the names of other clients that the firm didn't mention - you might get a different opinion. Third, ask to speak with some former employees of the firm. If you get pushback on any of these requests or if the firm grants your request and you don't get the feedback you are looking for, you should treat it as a red flag and re-evaluate whether or not you should work with this firm. House Democrats are calling for $825 billion in federal spending and tax cuts as part of a plan to revive the economy, emphasizing energy, education, health care, and highway construction. The legislation calls for $550 billion in federal spending and $275 billion in tax cuts over the next two years which, according to this Associated Press article, will likely rise as the bill makes its way through Congress. The article claims the $825 billion legislation would be one of the largest bills ever to move through Congress, but lawmakers are moving quickly. House Speaker Nancy Pelosi, D-Calif., and Sen. Harry Reid, D-Nev., the Senate Majority Leader, are pledging to have the bill ready for President-Elect Barack Obama's signature by mid-February. House leaders called for $30 billion for highway construction and $10 billion for mass transit and rail, allocations which will surely help the sluggish AEC industry.